We work really hard for our couples, and we love what we do. Our couples love what we do, too – we’ve got a big basket of handwritten thank-you notes that we’ve received over the years to prove it, as well as more than 100 five-star reviews online. Although we do many things in a very big way, we’re actually a pretty small operation. Brendan‘s the DJ. Chris and Nick help out with the Photobooths and setups. Julie (Brendan’s incredibly awesome wife), Kaden (age 6) and Ben (age 3) are the silent partners and our biggest fans. And that’s why we get really excited when we’re recognized as being one of the best wedding entertainment companies in the country. 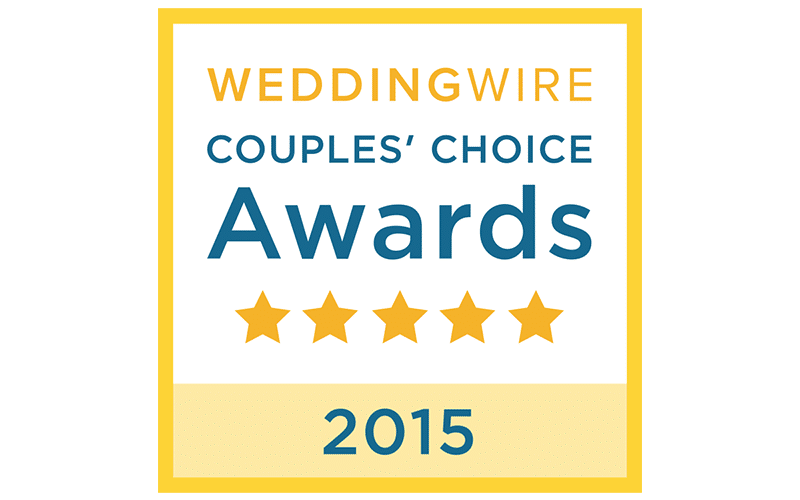 For the seventh consecutive year, WeddingWire has chosen B-Sharp Entertainment as a winner of the Couples’ Choice Award. Some truth in advertising: WeddingWire gives out a LOT of these awards, nationwide. This year, a total of 40 DJ services in Rhode Island received the award, but only TWO awards were given out in the Wedding Entertainer category, and we’re proud to be one of their recipients. Back in 2009 when these awards first debuted (as the Bride’s Choice Award), B-Sharp Entertainment was one of just seven DJ companies to receive the honor. Times have changed, and newly-engaged couples now have an almost infinite number of options for wedding entertainment. While DJs are now “award-winning” and those words may not carry as much importance as it used to, we’re proud to say that we’ve received WeddingWire’s highest honor each year that it has been presented. Quality matters – we provide that. Consistency is important too, and we’ve got it covered, with a new trophy to prove it. Our clients rock! ← NewerROCKSTAR(S) WANTED. WE’RE HIRING!